Domaine de la Madone - cottage "the Rare Cuvettes"
A green setting of 160 hectares. 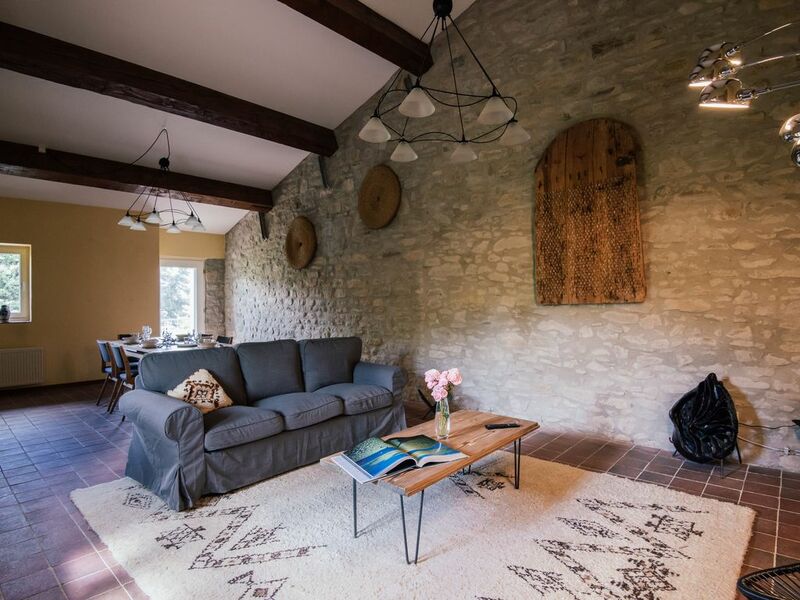 An exceptional place not far from Carcassonne. The Domaine is nestled in a valley in the heart of nature in the foothills of Val de Dagne, Alaric and Hautes Corbières. Grand landscapes just minutes from the city of Carcassonne and the Canal du Midi classified World Heritage of Unesco. Take advantage of your stay to meet an area rich in history, culture and landscapes. The Mediterranean Sea, the Cathar castles, the abbeys, the Black Mountain, the picturesque Languedoc villages, the local gastronomy and its wines are all beautiful encounters within an hour of the Estate. Discover the agricultural activities of the estate: vines, olive trees, almond trees, lavender and honey. Coming, live in the peaceful rhythm of the Estate, worked entirely in the traditional way - plowing on horseback, tillage in the respect of our ecosystem (no chemical input) and if you feel like it, join the cellar to taste our wines on the terrace watching the sun set peacefully on the vines. A spacious cottage and comfort between friends or family for moments of conviviality and discovery in the heart of nature. It can accommodate 6 people. It has three beautiful bedrooms, two upstairs and one on the ground floor. A very large lounge / dining room is upstairs, allowing you to relax during the hot hours of the day. An equipped kitchen is also available, which leads directly onto a beautiful private terrace surrounded by stone walls. A short distance from Carcassonne and the Canal du Midi! Possibility to rent the whole area, 10/11 rooms and a mezzanine for a capacity of 20/25 people. Contact us.